Stress is something many of us suffer from in our normal lives, but patients and carers can have particularly acute problems, arising quickly and without warning. This can cause various kinds of damage to all parties concerned. 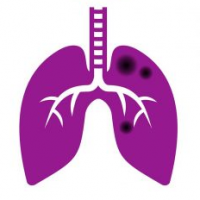 Some people find it a great help to join a support group full of people with similar illnesses, and we run several here at the National Aspergillosis Centre, many online for everyone to join worldwide. There are regular rants against the various injustices and pressures that patients and their carers face and that in itself can be a great pressure reliever. We have had a talk at our Patient Support Meeting from Health Psychologist Alison Wearden who emphasised that stress is not just something to be brushed aside but causes real physical damage to our bodies, and has been shown to slow the healing process down. The ensuing discussion was very informative. Recent research follows a theory that different types of stress can all lead to the same result. The body systems involved trade short term safety for long term health; this is because when our ancestors were exposed to stress it was normally in the form of an adversary trying to kill them, so there was an advantage to concentrating on the short term safety! Unfortunately modern life triggers our stress constantly and we end up chronically stressed – constantly in a state of getting short term safety instead of preparing for long term health. Not good! Chronic stress can make our immune status constantly inflamed – useful if you are wounded when running away from a fierce animal, as wounds will heal quicker for a short time, but if your body is left inflamed it will actually slow wound healing in the longer term. Stress also leaves us vulnerable to withdrawing socially, avoiding family and friends. This can be part of the downward spiral to depression. 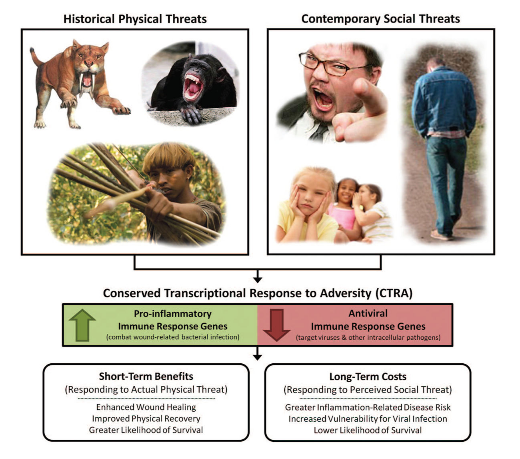 Stress is however a complex response to threat. It has been shown that we can turn ‘bad’ stress into ‘good’ stress by thinking in the right way (think positive) and by ensuring we remain sociable, talk to our family and friends, sharing our thoughts – much like we encourage people to do by joining our patient meetings. If we worry about stress we can start to shut ourselves away from people, and become depressed. If we recognise we are stressed we can take that feeling and think positively – for example feel the stress and think ‘great this will get me through what is coming next’ (for example, a trip to the dentist). For more practical help, the NHS offers advice and treatment via your GP. Don’t ignore it, as it may not go away – especially if you do not understand why it started to cause a problem in the first place! NHS advice pages for stress, prevention, recognition, treatment. For some a ‘Mindfulness’ course is useful. This approach to alleviating stress, anxiety and depression has been the subject of a lot of good quality research around the world (Prof Mark Williams talks about it in some depth in the video below), and is effective in some circumstances e.g. mild to moderate anxiety, depression. Taking a course is unlikely to do you harm, and there is even a free introduction available online, if you’d like to decide whether it’s right for you.